This programm has been designed for divers who have not been diving for a long time and who would love to return to under water activities. If you gave birth to children, build a house, have been studying or whatever you did that kept you away from the water for several years, you may refresh your PADI Scuba License and return into the water. 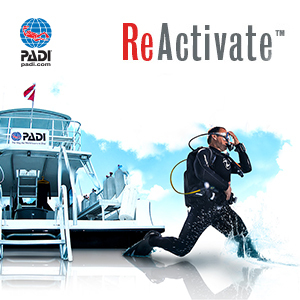 In the PADI ReActivate Program we will refresh and update your theoretical knowledge, we will return to the pool for the most important practises and we will repeat and practise all skills which YOU think you need to practise. Finally we will have an open water dive in the sea under course conditions. You may start your knowledge review right now and you can do this on your PAD at home. Get the ReActivate Touch App and start right now! ReActivate Touch works OFFLINE. You need to be online for download and for the quizzes only, all learning, reading, viewing of videos etc. you may do offline and do not need a connection to the internet. You order the access code for your ReActivate from us for 44 € and start right away. The practise and dive youll get here in place for 96 €. 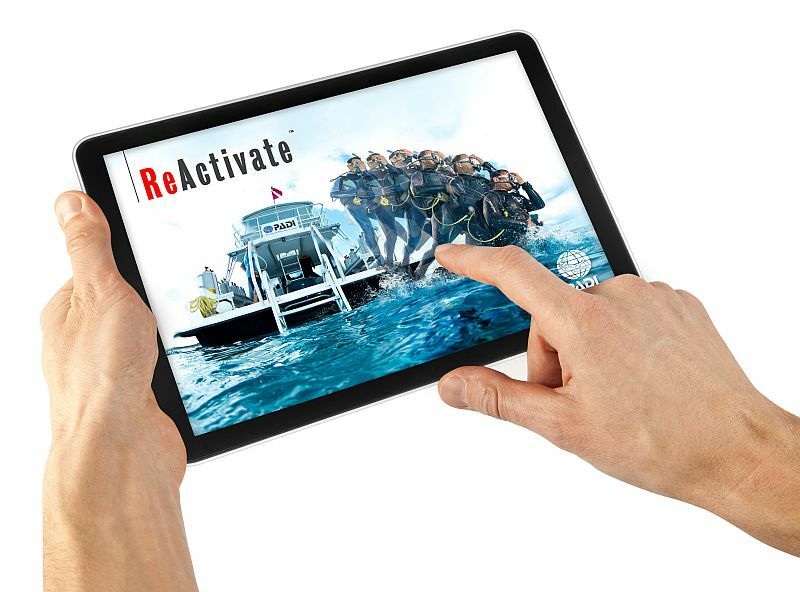 You will receive your scuba license again with the remark ReActivate upon completion of the program. Even if you don't find your old card anymore, no problem. We will check your license directly with PADI and will issue a new card anyway. The PADI license fees are already included in the price for the ReActivate App.